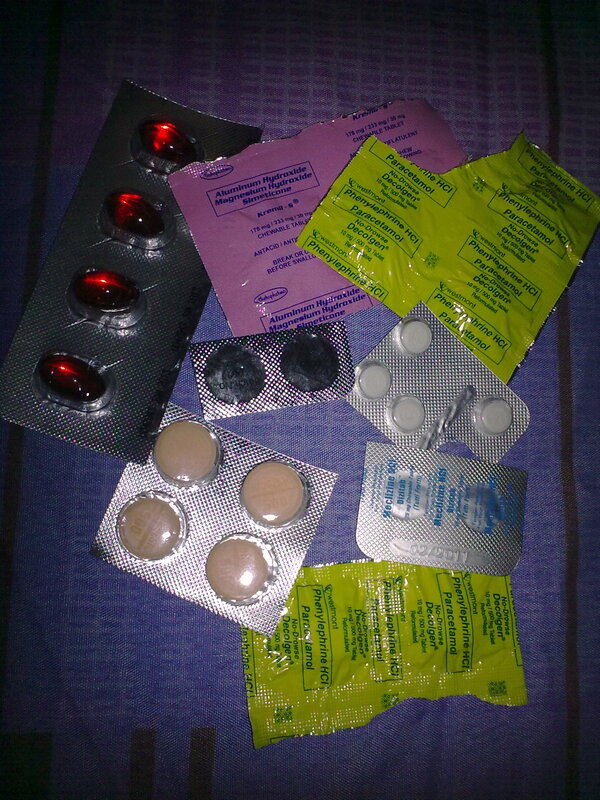 I didn’t notice until last night that I had accumulated so much meds in my bag. There was a day when I took four tablets at the same time. Medicol for my painful foot, Serc for my vertigo, Kremil-S for my tummy, and Decolgen to unclog my right ear. I feel so old.